﻿The first time you try this, you're thinking "I'm really going to miss the pasta". And you're right - it's certainly not the same - but, it has some al dente crunch and adds flavour while taking out the carbs, so why don't you give it a try?. 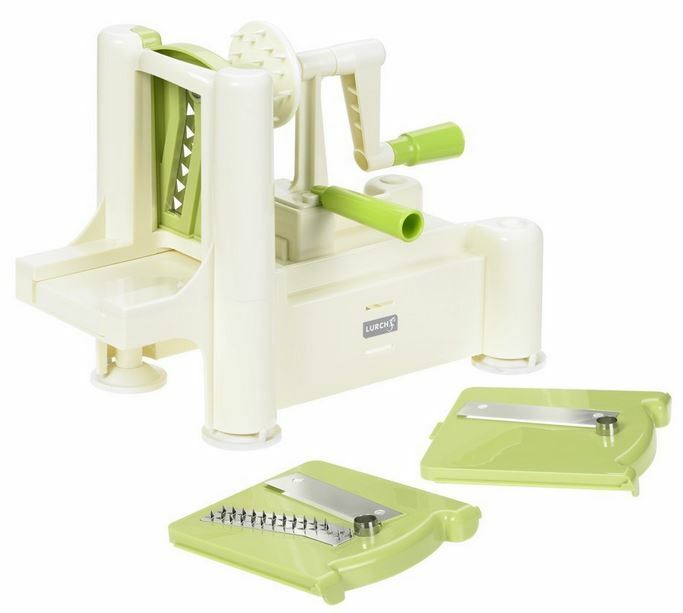 1/ Using a mandolin with the appropriate attachment or (if you have one) one of the fancy kitchen devices they now sell to make vegetable strands (aka noodles or spaghetti), prepare as much of the zucchini spaghetti as you like. 3/ Dry off lightly with some kitchen towel and then fry gently for 2-3 minutes in a spoonful of olive oil, coconut oil or some ghee. 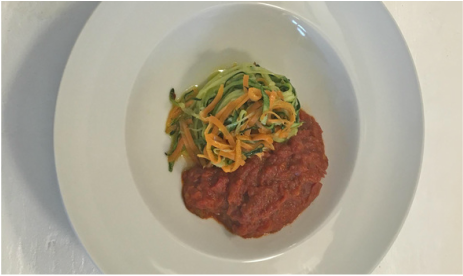 4/ Add your selected sauce to the 'spaghetti' and/or use them as a tasty, healthy side dish. Basil, pine nut and parmesan Pesto works brilliantly. ... take the same approach with carrots though you will need to cook them in the pan for an extra minute. Al dente is good... raw is fine but less appealing to most people unless it's as a side salad. Note: This dish is another of the art, not science, variety. Cook briefly but to the point that you like best. Put 50 gm of basil, 50 gm of toasted pine nuts, one roughly chopped garlic clove and 50 gm of parmesan in a food processor. Switch on and gradually dribble in 100 ml of extra virgin olive oil. Add a little salt and pepper to taste and a squirt of fresh lemon and, as they say... Giovanni's your uncle!